A very Happy Birthday to Yuvraj Singh who turns 37 today! Yuvraj Singh started his career in the International cricket in 2000. With his immense hard work and passion he became the star of the Indian Cricket team. Yuvraj Singh the son of Yograj Singh, former Indian bowler, is a successful cricketer and is well-known for his batting and bowling skills. The exuberant left-hander cricketer was even declared the player of the 2011 World Cup. It was during the time of 2011 World Cup when Yuvraj Singh was diagnosed with a cancerous tumor in his left lung. Diagnosed with one of the most deadly disease, the handsome lad did not lose hope at all and chose to battle it out. Fighter in the true sense, Yuvraj Singh fought cancer and emerged victorious as he did not want to give up his dream of playing cricket. The nation’s hero Yuvraj Singh made a comeback in a Twenty-Twenty match against New Zealand. It goes without saying that every sportsman puts in a lot of effort in the fitness and workout sessions in order to achieve the desired goals. Yuvraj Singh is no exception. 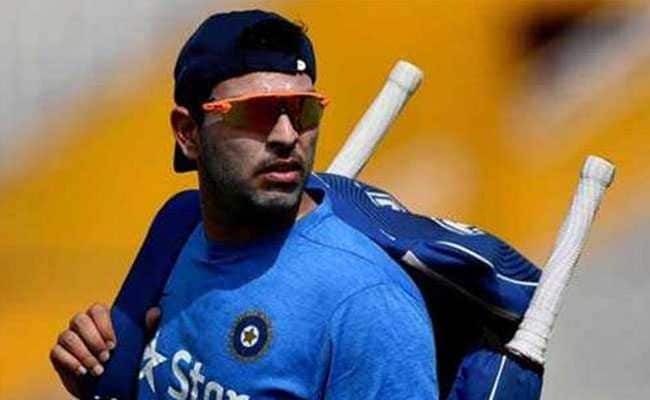 In an Instagram post, Yuvraj Singh was seen working out with the ropes. Battle rope is a full-body effective workout. The workout is a dynamic cardio which includes both arms, along with your back, chest, legs and core. This workout strengthens your abs, arms, legs and core. Ropes have become a direct way to enhance the quality of life through the human optimization both physically and mentally. Moreover, battle ropes build strong muscle and lose body fat quickly. From strengthening your core to love weight, battle ropes offer several health benefits.